The median gender pay gap between men and women across the University has remained at 13.7% for the past three years — an investigation by Varsity has found. Using the raw, annually-published data on staff pay distributed across the University’s pay spine, the median gender pay gap is calculated as the percentage difference between the salary of the midpoint of the distribution of men employed, and that of the distribution of women employed. In addition to the basic income paid out to staff, a small percentage of Cambridge employees are awarded market pay supplements – additional pay to certain staff in order to retain those with highly competitive and marketable skills. In 2018, 147 men and 67 women received market pay supplements where men received an average of 39.9% more in additional income, totalling £3.3m for men and £0.9m for women. Since they were introduced, market pay supplements have consistently been awarded to men in significantly greater numbers than women. In addition, employees who have received market pay supplements which comprised a significantly high percentage of their basic income have been men. The median gender pay gap has rested at 13.68% for the past three years — the lowest in the previous eight years — after a 7.2% drop from 2015. From 2015 to 2016, a significant number of men were hired below the median, dragging the median for men down 4 pay grades, without corresponding increases above the median, thereby lowering the pay gap. Last year also saw a 18.0% mean gender pay gap, defined as the percentage difference between the mean average wages of men and women across the University. This marked a 0.3-percentage-point decrease from last year. The higher mean gender pay gap can be accounted in that proportionately higher numbers of men are employed in the highest pay bands than women. The University of Cambridge was approached for comment on the figures. A Varsity investigation last October uncovered a £12,000 difference in the average annual basic pay between black academic and research staff at Cambridge and their white counterparts, nothing that academics and researchers from Chinese backgrounds make almost £10,600 less. It showed that pay disparities between people of different ethnicities at the University are often influenced by the under-representation of academics of some ethnicities in senior academic positions. There are only 16 professors from Indian backgrounds, of the 552 professors who disclosed their ethnicity. This, however, remains the most-represented BME group for professors, though constituting just 2.4% of the total figure. When comparing the disparity in pay over the different schools within the university, it was found that four of the six schools saw an decrease in the gender pay gap between 2017 and 2018. The gender pay gaps for the School of Arts and Humanities and the School of Technology worsened, however: the gap in pay in the School of Arts and Humanities rose 4.2% over the past year, from 7.7% to 11.9%, while in the School of Technology it rose 0.9%. The School of Physical Sciences saw the largest decrease in its gender pay gap from the previous year, dropping from 20.7% in 2017 to 16.5% in 2018. The School of Humanities and Social Sciences has overtaken the School of Physical Sciences as the department with the highest gender pay gap, with women on average being paid 17.6% less than men in 2018 (compared to 18.6% in 2017). The School of Physical Sciences still comes in at a close second, with women being paid 16.5% less than men on average. This practically works out as a salary of on average £10,097 less a year for women working in the School of Humanities and Social Sciences, compared to their male counterparts, and £8,448 in the School of Physical Sciences. 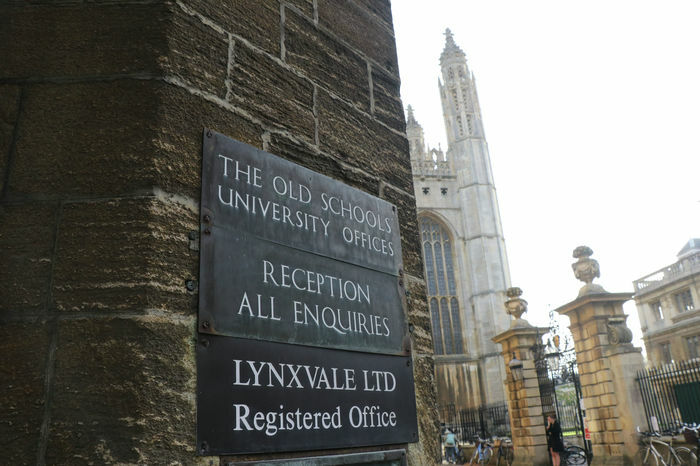 Today’s findings come in the middle of a ballot by the university employees’ union, the University and College Union (UCU), which will see 70,000 of its members across 143 UK universities vote on whether to strike over issues concerning pay. The ballot concerns perceived inadequacies in employers’ proposals for pay arrangements, which employees have argued did not contain sufficient action on the gender pay gap. Amongst colleges, new government regulations on gender pay gap reporting revealed in March last year that women at Trinity College are paid on average 27.2% less per hour than men in median pay — the largest pay gap amongst the colleges who were mandated to publish the data. Some colleges were not mandated to report their gender pay gap data because they had too few employees to meet the government threshold. Robinson College came a close second for its gender pay disparity, with a 24.1% gap, followed by Jesus College, with a median difference of 22.8% in hourly pay. Of those colleges which have released statistics on their gender pay gap, St. John’s reported the smallest disparity in median hourly pay, at 2.9%. Updated, 7th February 2018: A previous version of this article had calculated incorrect percentage values for the gender pay gaps of Cambridge’s six academic schools. The article has since been updated with the correct figures. We apologise to all of our readers for this inaccuracy.